I am excited about participating in the book blast and giveaway for a beautiful picture book that complements the season and warms the heart of its readers! 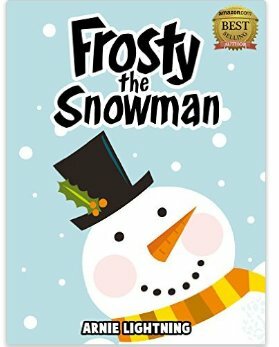 You are receiving this email because you signed up to participate in the “The Fox and the Snowman” Book Blast hosted by Mother Daughter Book Reviews. Twelve year old Marcie Horton is feeling good about finishing the last day of school, but at the same time is dreading the upcoming summer. While she has always enjoyed spending time at her grandparents’ home on Lake Pappakeechee, this year is different. None of her friends will be going. Marcie is a talented and competitive athlete, but not one of the “popular girls” at school. Her discomfort is increased when the parents of one of these girls inform her that they have just built a huge house on the lake, and invite her to spend time at their home with their daughter, Kaitlyn. As the summer unfolds, things get more and more complicated. Kaitlyn pushes Marcie to make decisions with which she is not comfortable. Her loyalties are torn between peer pressure and family. When Kaitlyn’s father plans a development that will threaten the existing lake environment, Marcie is again forced to choose. To make matters worse, strange visions are haunting Marcie. She feels as if she in living both in the past and present. An unexpected turn of events allows her to be drawn by some mystical force to make a miraculous discovery. In some ways the plot is predictable, yet the characters are compelling and so well-drawn that I read the book in one sitting. This book hits on so many issues that face tweens and teens. A bit of magic, history, fantasy, coming of age, environmental issues, family, and loyalty all combine to make one entertaining story With a page count of just over two hundred pages, it is a bit long for a middle grade read, but the book is a comfortable and easy read. Recommended for ages ten and above with lots of appeal for both boys and girls. 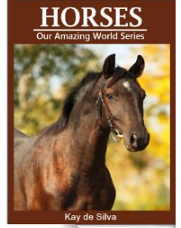 This book is a must for a child interested in horses or for an adult who wants to know more about these beautiful animals that have played such an important part in history. 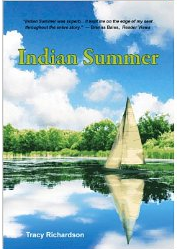 It is well organized and illustrated with color photographs. The author explores the family and habits of horses, their anatomy, how horses communicate, the types of breeds, and relationship to man. Here are a few interesting facts that I discovered. A horse lies down for only 45 minutes a day, and when it does, others in the herd keep watch. A horse’s eyes are the largest of all the land mammals. Horses have baby teeth like humans. You are able to tell a horse’s age by looking at its teeth. Older horses have yellow teeth and other pattern markings. That is where the expression that it is rude to look a gift horse in the mouth originated! I learned that a horse’s height is measured in hands (each measures four inches or ten centimeters). One of the most interesting sections discussed temperament. Horses are classified as hot blooded, warm blooded or cold blooded. Hot blooded horses are quick to learn and have lots of energy; many are race horses. Warm blooded horses are calmer and are more suitable to be riding horses. The cold blooded horses are heavier and more muscular. They are very calm and suited to work like working on farms. Today horses are involved in sporting events like horse racing and individual equestrian events. Earlier in our history, horses were used in warfare. The author packs a lot of information in this book of less than sixty pages. Whether the reader is a horse enthusiast or just an admirer, the book and its illustrations are pleasing and informative. It is written in simple language. Recommended for children and adults ages eight and up. If you admire these beautiful animals, I don’t think you will be disappointed in this book. Who doesn’t love to look at these furry, cute creatures? The author has created an early chapter book with beautiful photographs that will appeal to children in kindergarten and the early elementary grades. Han gives a bit of the history and geography of the species, its current habitat, how it is raised, what it eats, describes its habits, and writes about what we can do to save this endangered animal. There are only about 1600 of these animals surviving in the Sichaun province of southwestern China. Though the black and white patches on their eyes resemble those of a raccoon, they bear no genetic relationship to that species. 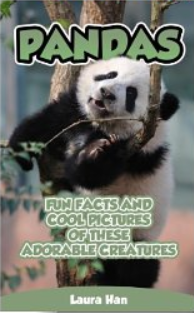 Did you know that pandas used to be kept in cages as pets for the ancient Chinese emperors? Pandas can eat as much as forty pounds of bamboo in one day, and they spend more than half the day, up to fourteen hours, eating bamboo plants. An adult panda might weigh as much as three hundred pounds, but a newborn weighs only five ounces. Pandas generally keep to themselves, but they do like play by rolling around on the ground and tumbling. Recently, their natural habitat has been racked by earthquakes, large-scale construction projects, and deforestation. Conservationists are trying to save them by finding them homes in zoos and protecting their native habitat. The author urges her readers to join support groups. The photographs and maps in this book are beautiful and the text is clear, concise and simple. It is a nice addition to the nonfiction and science shelves of classrooms and libraries. That is not to imply that parents and children who enjoy looking at these beautiful animals will not want to add it to their personal library. 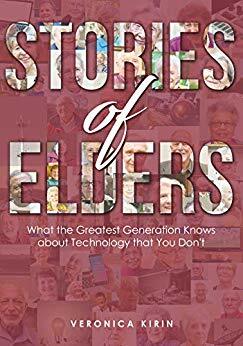 The author originally came up with the idea for the book in 1993, but she was too occupied with bringing up her four children back then. 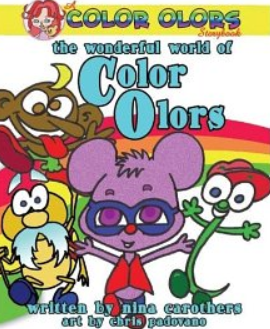 Fortunately for today’s readers, she used those years to incorporate her own life experiences in these tales of adorable color characters that each have a memorable and valuable life lesson to share with children and their families. The simple, bright and bold illustrations will endear children from toddler to the early elementary grades. Parents and teachers will like the catchy rhymes and moral themes that make this book an excellent choice for a read aloud. This first book previews the color characters, their outstanding traits, and a clue to the story that each will share in their own storybook. Children have the opportunity to find their favorites and read further. I will present a quick overview of the Color Olors. Silver Ilver is the wisest and their leader who keeps all the other members in line. She reminds me of a cross between a fairy godmother and a teacher. Gold Owl is the oldest; he is steady and true to task. Gray Ray is a two year old who lives at the bottom of the sea and teaches about the meaning of family. Yellow Ellow is always bright and happy like the sunshine; he will not fail to give you something positive to think about. Don’t surmise that the Color Olors are always perfect. White Hite has a habit of telling little white lies. Red Ed likes to share Christmas Holiday traditions; Blue Lue is a caboose who holds things together even though he is last in line. Orange Range is an excellent cook. Brown Rown rides on his bike showing everyone how to preserve our environment, and Black Lack flys around during the night to protect us while we sleep. Green Reen loves to eat his vegetables and teaches us how to be strong and healthy. Purple Urple looks like a little mouse, but he rides a stallion and grants wishes. Last but not least, Pink Ink is dainty fairy who travels with her teddy bear landing on those who might need advice whispered in their ear. Quite an assortment of characters from which to choose. The series promises to be a hit with parents, teachers and children. Take a peek at the first book with your little one and then decide which character you would like to meet in a unique adventure. Available in kindle and paperback formats.